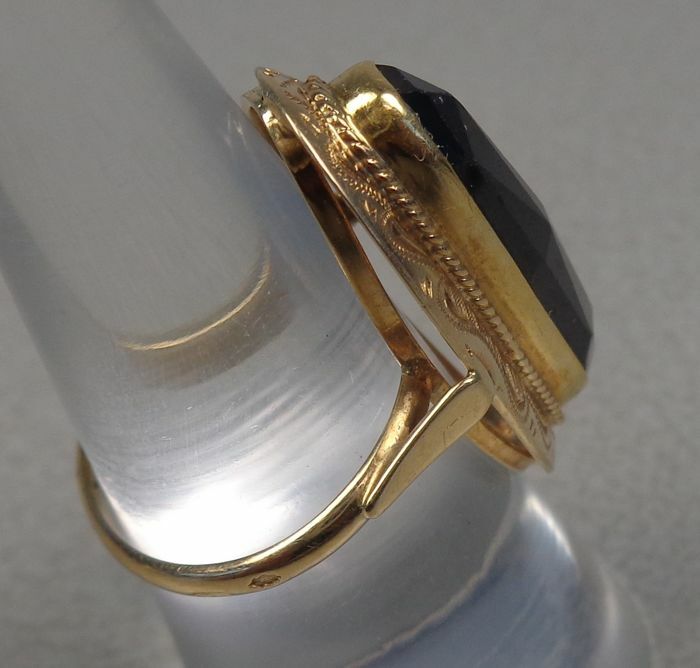 Yellow gold 14 kt. 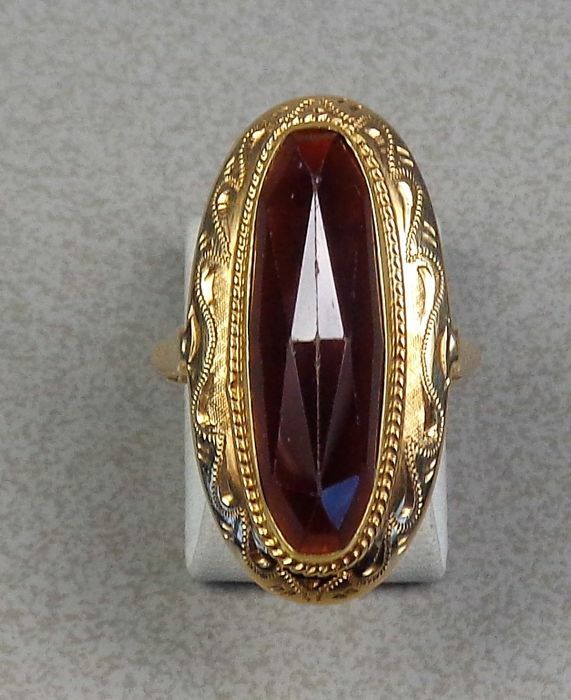 Ring size 16.8 mm. 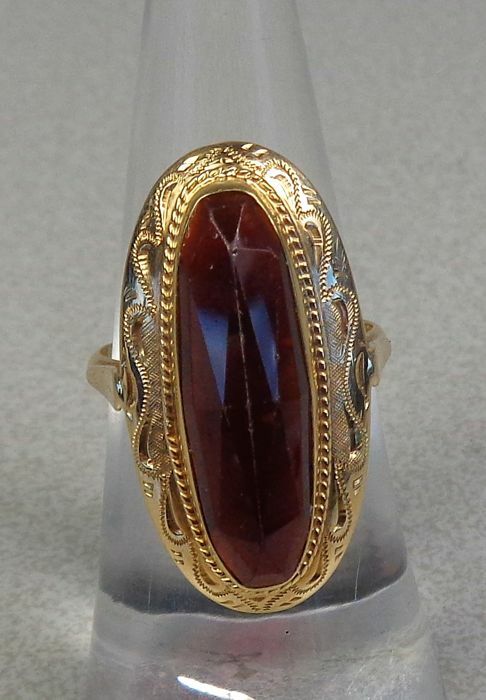 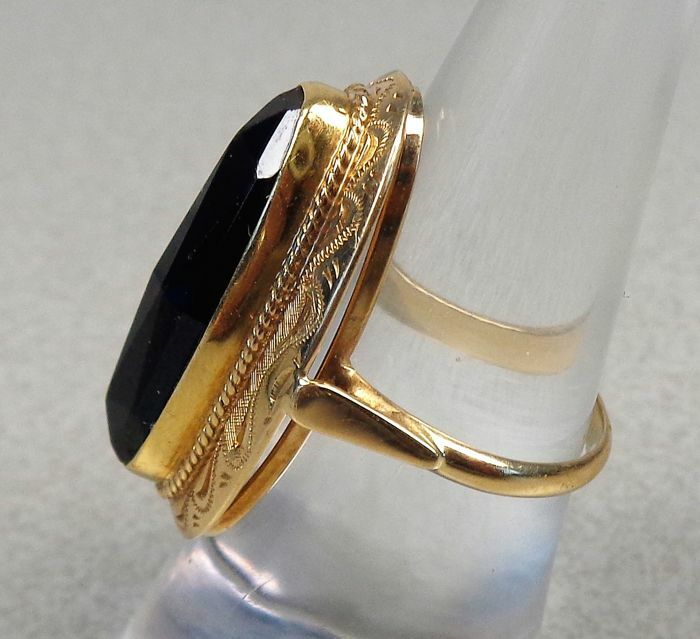 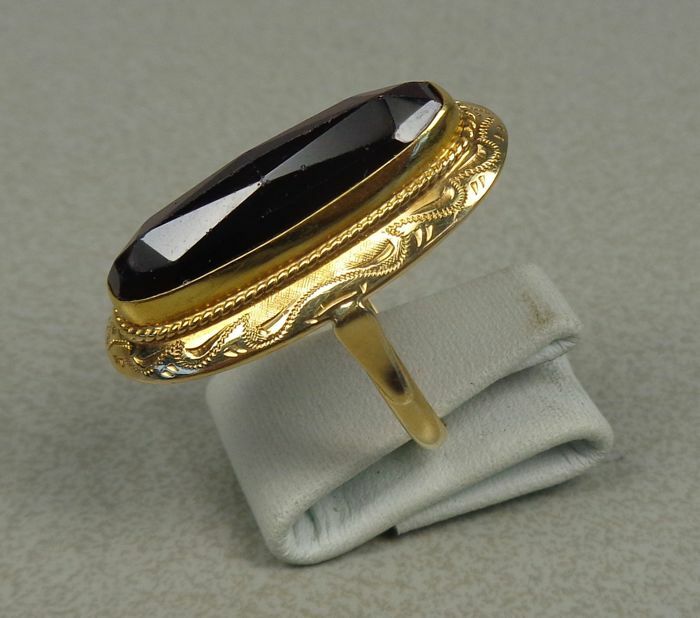 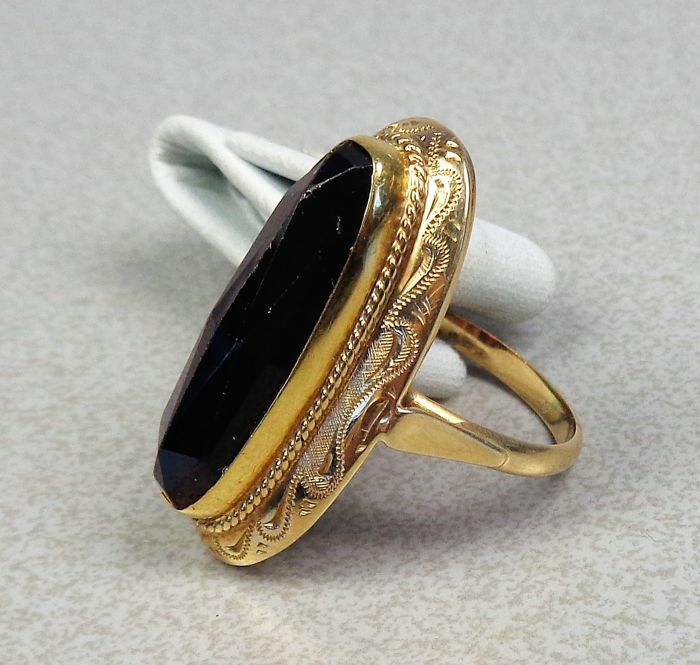 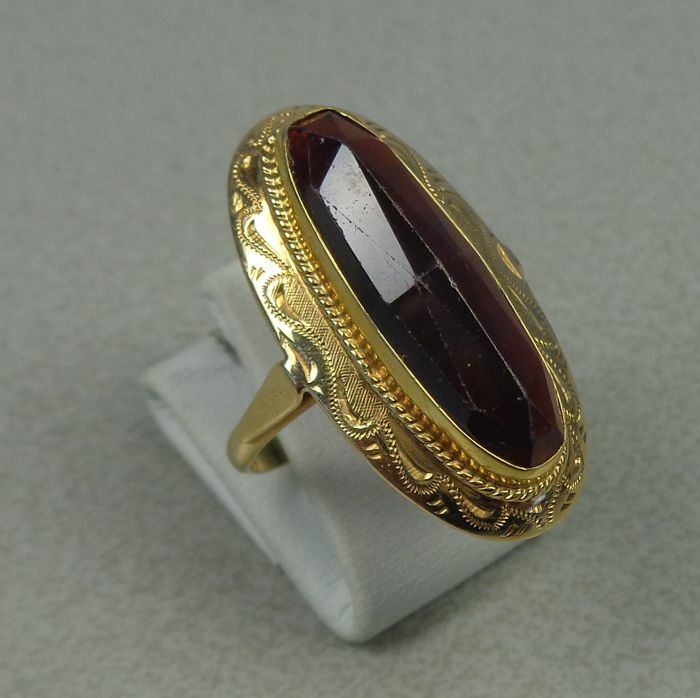 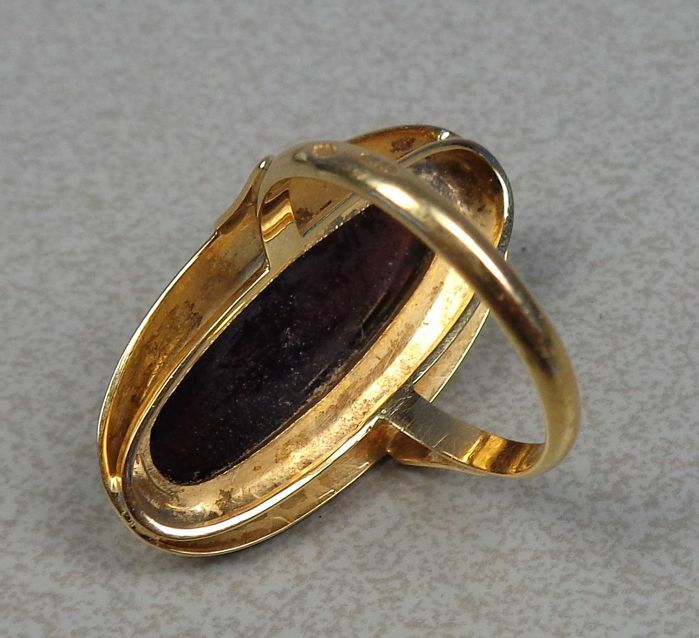 Weight 5.54 g.
A 14 kt yellow gold ring set with a pointed oval cut garnet (23 x 8 mm). 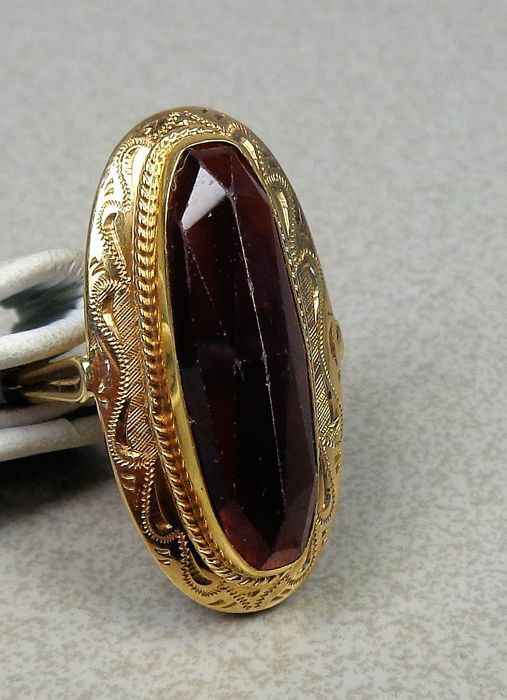 Garnet in an engraved setting with a fine cabled edge. 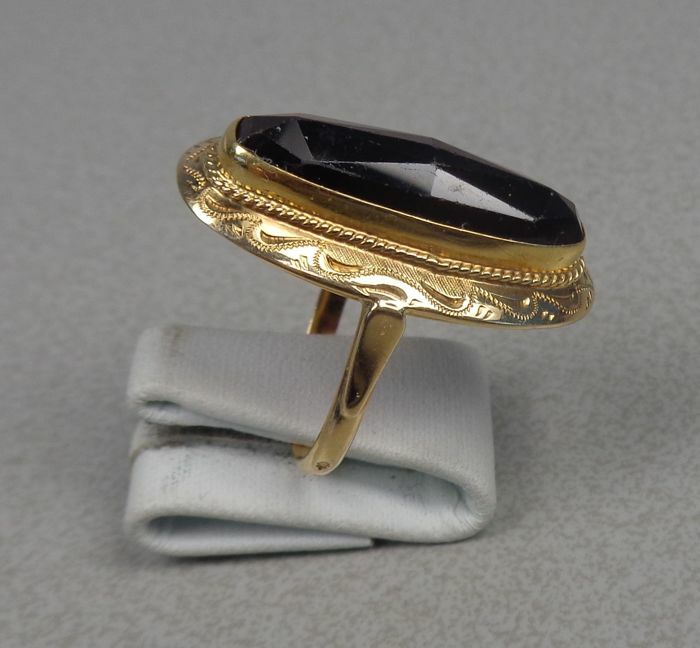 Dutch hallmark 585. 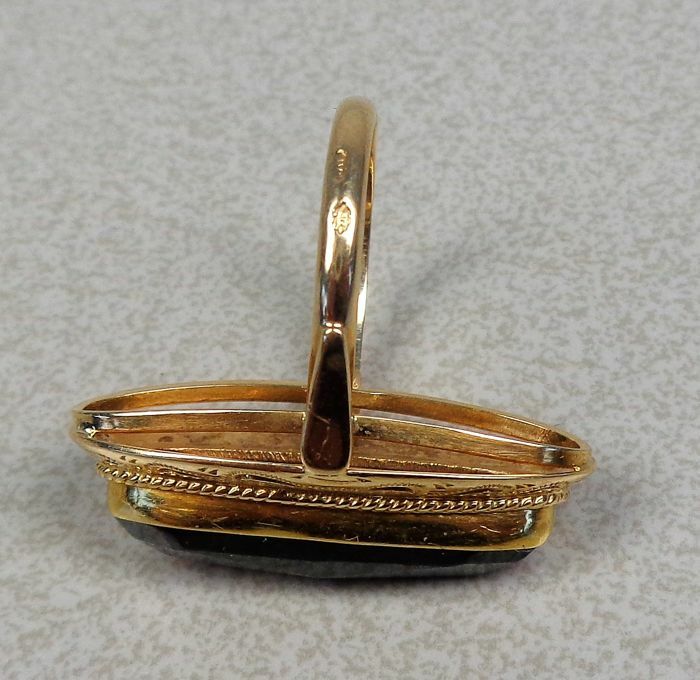 Maker's mark J. de Vaal from Schoonhoven.